After taking off some time to fully enjoy summer vacation with my kids, and also to give my husband time to fix my computer, I am finally back at it. You don’t realize how much you use and would miss your computer until you can’t use it. I’m not usually one to become attached to an object, but when its my computer and holds my photos, internet and my work – my outlet, I miss that. So here we are. Two weeks into summer vacation and I am happy to say my children haven’t driven me completely crazy yet. We have been having a fun, low-key, relaxing time. I want to keep this theme of relaxation going all through summer vacation. So here are my goals for this week. 1. Get the boys on some sort of chores schedule. As much as I am for letting kids be kids and enjoy summer vacation, I am also for kids learning responsibility, and helping out around the house. 2. Read together every day. We have all been so worn out by the end of the day lately that we have been skipping family reading time. 3. Meal plan and have everyone help out with cooking. 4. Keep the house clean and tidy. Get back into the habit of setting the timer in the evening and having everyone tidy up. 5. Finish cleaning and organizing and going through the giant pile of work and art work they brought home from school. 6. Workout. I have been SO bad on this lately. I’ve been going for walks, but that is about it. And I have put it off so long that it is affecting my mood, and that is just not good. I don’t like feeling this way. 7. Write. Not just for my blog, but for myself. Whether it is in my journal, or just writing for the sake of writing. 8. Relax. So much easier said than done. With the boys home all day and baby girl still never sleeping, I have not been alone since the boys started summer break. I have been having a hard time unwinding. Even though we are having a relaxing summer vacation, I still crave that time on my own to unwind and be on my own, even for just a few minutes. 10. Take chances. Leave my fear behind me and dive in. 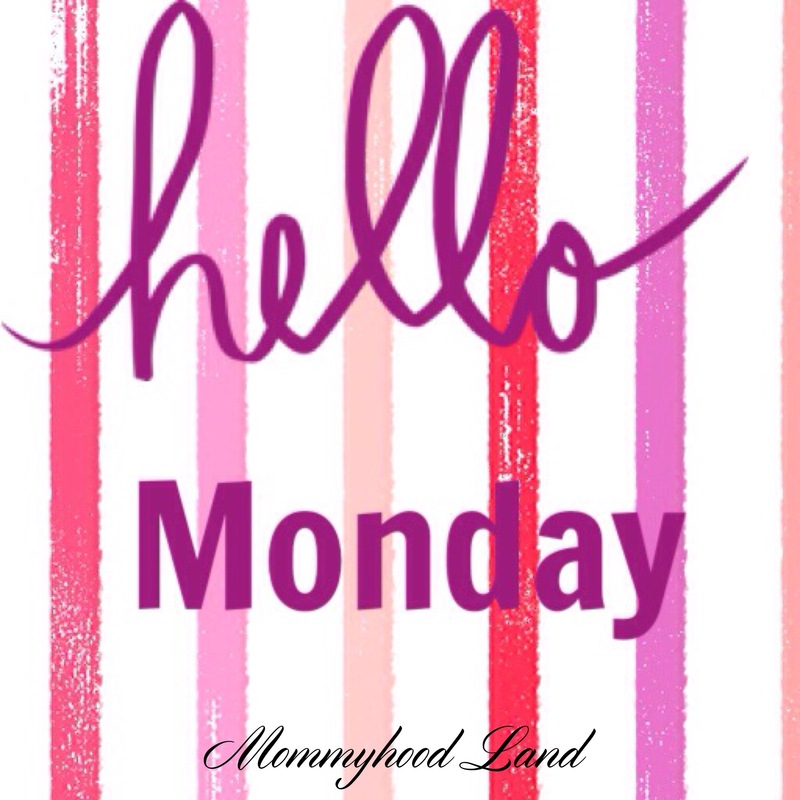 Do you have any plans for this week? Or are you just soaking in all the summer vacation you can? On a side note, remember a few weeks ago one of my goals was to stop biting my nails? I finally did that. Now if I could stop breaking them! Score 1 for me! It’s the first Monday of summer vacation, first full week of summer fun. I would really love to say that I have a whole whack load of plans, that I have so many goals to accomplish, that I’m all put together, that I’m totally on top of things, that I’m fully and completely organized. But I’m not any of those things, at least not today. This week is all about summer fun. It is about letting go and enjoying the ride. It is about letting the kids be kids. It is about taking in the little things. It is about family time together. It is about endless hours of silly conversations and laughter. It is about just being together. I want to enjoy time with the kids without an agenda and schedule. I want to enjoy the sunshine without checking my watch to see what time it is. I want to enjoy playing outside without putting a timer to it. I want to enjoy seeing my kids use their imaginations without having to stop them. I want to enjoy the freedom of being home with my 3 kids. There will be time for schedules next week. This week is for fun. What are you doing to celebrate the first week of Summer Vacation? Well it is finally here! The last week of school! I’m so excited for this summer. Last summer I couldn’t do much since I was recovering from a c-section and had my new-born daughter to care for. But this summer, this summer is going to be awesome. My daughter is on the move, walk and loves to explore and play outside. The thoughts of warm summer days outside in the sunshine while the kids play just sound so blissful. So here are my goals for this last week of school. 1. Come up with a plan for summer! Make a bucket list. Have pre-planned activities. 2. Go through all the school they have brought home over the school year and sort it out. 4. Get organized. Because naturally when busy getting ready for summer I decide to take on another project. 5. Workout. Must workout. 4-5 times. I always feel better after working out, my happy level is off the charts after working out. 6. Read! Enjoy the last few quiet moments while the boys are at school! 7. Keep the house clean! Set a timer before bed for 15 minutes and have everyone help tidy up. 8. Set up a chores chart for the kids for the summer. 9. Get organized. This goes in part with the personal goal I have. I need to get organized in all aspects of my life. 10. Learn to take more risks. So as you can see my goal for this week is to get Organized! How do you stay organized? Do you write lists every day? Have a binder of some sort? Have lists up and printed and put up in the house? Any help would be greatly appreciated! How do you get ready for Summer Vacation with your kids? Its June, which means it is time to start the summer fun! 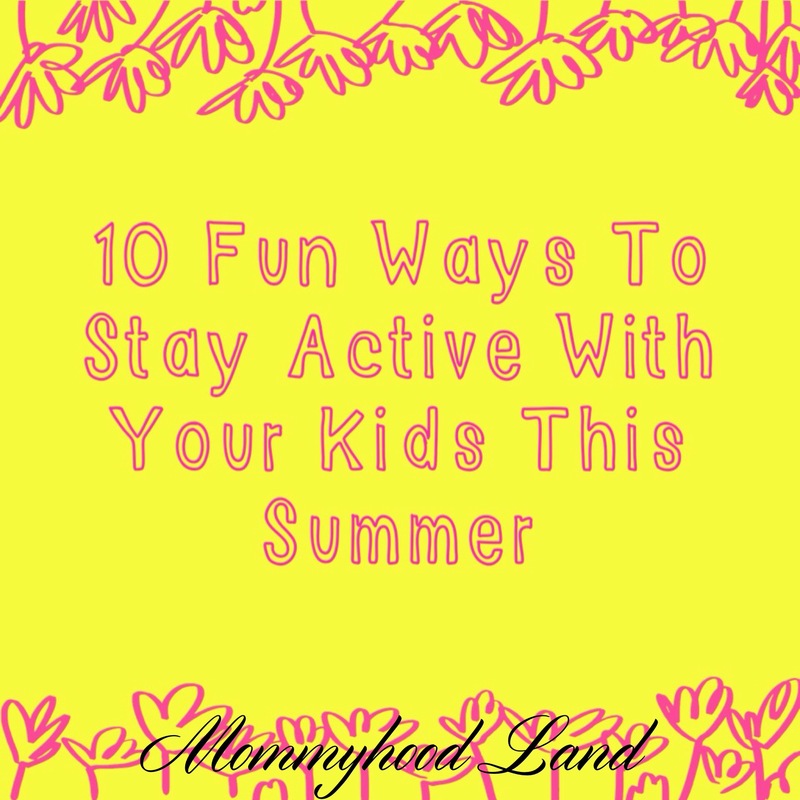 Here are 10 fun and easy ways to be active with your kids! Which we all know being active is important to every one, and what better way than to do it together?! 1. Walk. So simple and free! A walk can be simple, a walk around your neighbourhood, a nature walk, walking to and from school, walking to the store. 2. Play with a ball. Kick it, throw it, chase it, bat it, whatever it is you do, just have fun with it. Pick a game where you keep score, person with the lowest score cleans the kitchen, or maybe has to clean their bedroom! 3. Make an obstacle course. Inside on a rainy day, or outside on a nice sunny day. Use chairs, sofa cushions, brooms, boxes, rope, whatever you have on hand. Or make one up at the playground, have to do things in a certain order. 4. Playground fun. Visit different playgrounds in your area, or visit some out of town ones. Have a lake near you? Visit a park near a lake and have a nice picnic lunch. 5. Water World. Set up a kiddie pool to splash in, set up buckets of water balloons, water guns (if you allow those), sprinkler. 6. Bike ride. Local bike ride, or head to a small town nearby and explore. Small towns tend to have the best ice cream, just saying. 7. Walking tour. Visit a new town or city and walk around. 8. Learn or take up a sport as a family. Soccer, baseball, basketball. Whichever tickles your fancy. 9. Set up a sports day. Have different sports you need to do, running, short distance, long distance, long jump, and such. Invite extended family. Even make a craft day before and make up ribbons. 10. Dance. Dance party in the kitchen while cooking. Dance party in the living room. Dance party in the backyard, wait till sunset and have some glow sticks! Who doesn’t love glow sticks?! How do you plan on staying active this summer with your kids?